This weekend we visited an extraordinary exhibition at The Serpentine Gallery of a Swedish artist called Hilma af Klint. Who’s Hilma af Klint I hear you ask? 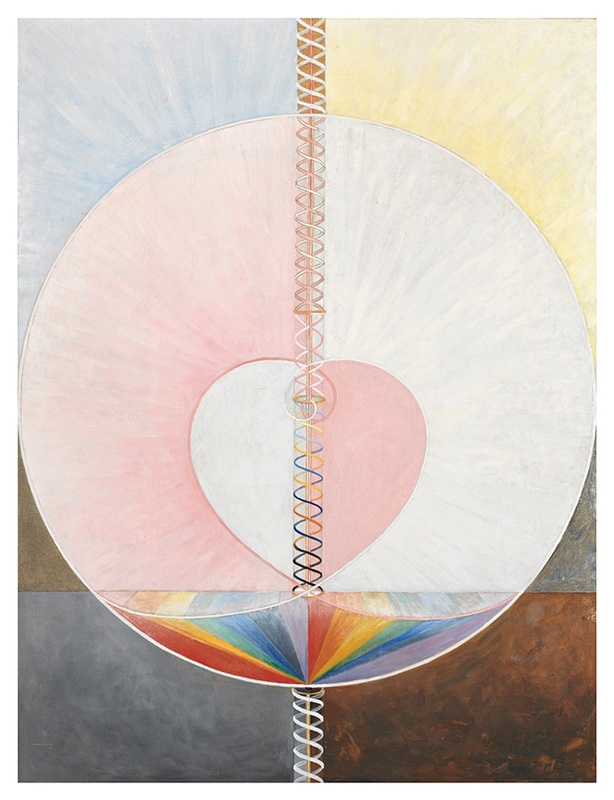 … If you have heard of Hilma af Klint I am guessing it was only recently. While this exhibition has attracted a huge amount of press, prior to this show she was virtually unknown in the UK. Being a woman, producing pioneering and unconventional artwork such as this, is probably the greatest reason for af Klint's exception from history. In some sense she was lucky to have grown up in Sweden, a country that allowed women to train as artists well before the rest of Europe and as a result, she studied at The Royal Academy of Arts in Stockholm between 1882-1887. She began her career by painting landscapes and portraits and gained some recognition at that time. It was her protestant upbringing and studies of Theosophy however that was the pivotal inspiration for her abstract works - this was also the first religious group in Europe to accept women in senior positions which must have empowered af Klint herself. Between 1906-07 she created her most revolutionary paintings which derived from automatic drawings she produced during seances - some encompass swirling abstract patterns, others follow geometric structured diagrams. She painted the work below in 1907, years before Kandinsky or Mondrian or Malevich had ventured into abstraction. 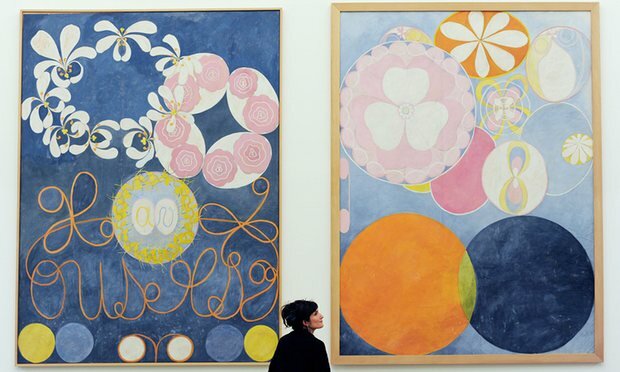 Looking into her colourful swirls, bold splatters and geometric shapes painted in the early 1900s it is undeniable that af Klint is a true pioneer of abstraction. 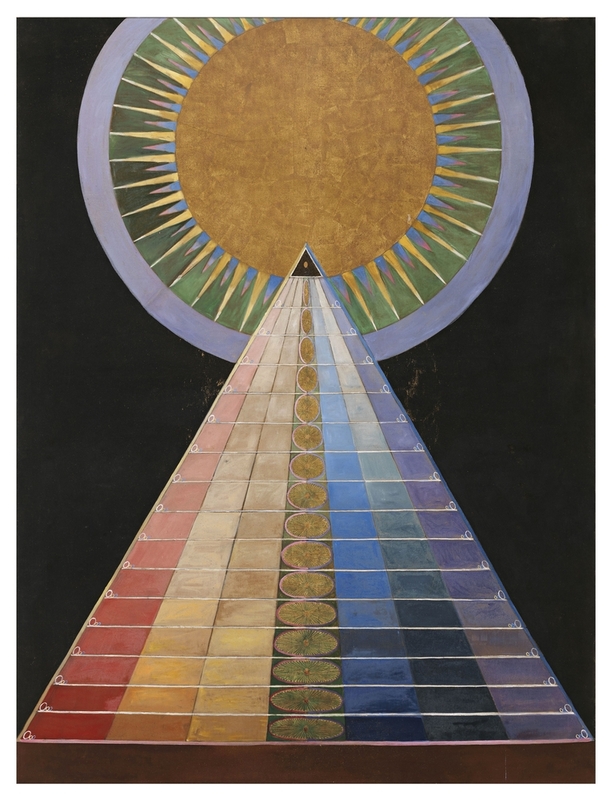 Hilma af Klint was certainly a complex and creative character, drawing on spiritual experiences and unconscious thoughts. While her work and history remain a little mysterious there is no denying that she was a truly remarkable woman, painting abstract works well before the likes of Kandinsky and Malevich. This is an unmissable exhibition and an important step in making sure that she gains recognition - open until May 15th 2016 - see it to believe it.